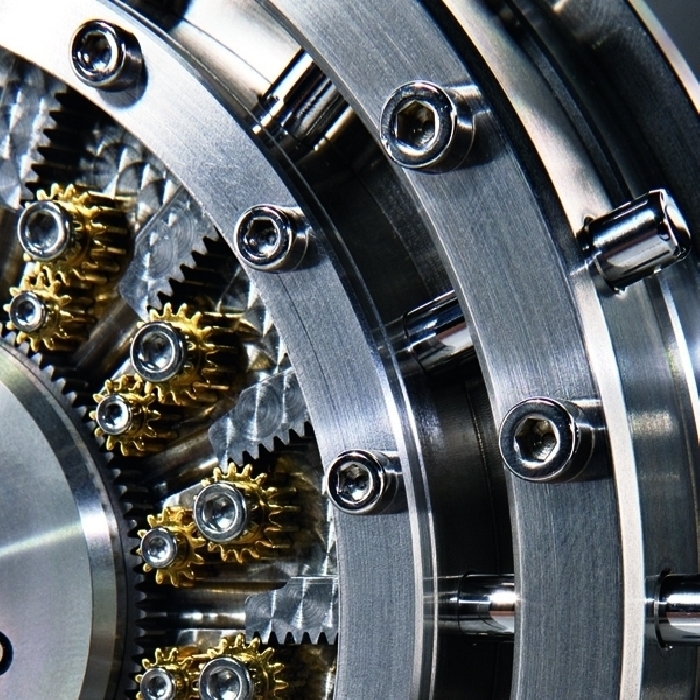 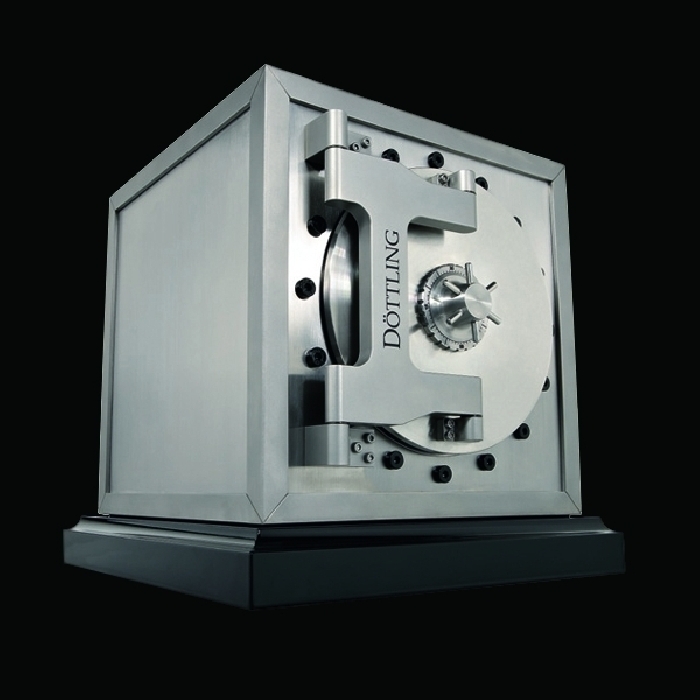 Döttling | 23'000 € Tax inc.
With the Colosimo, Döttling is once again making history in the world of safes. 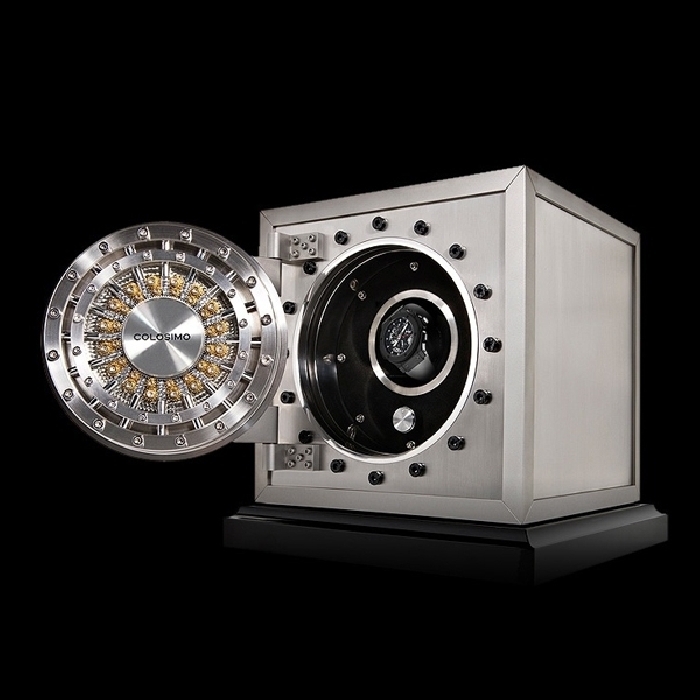 The smallest high-security safe in the world is the first table top safe from Döttling - and despite its size, it is definitely a commanding eye-catcher. 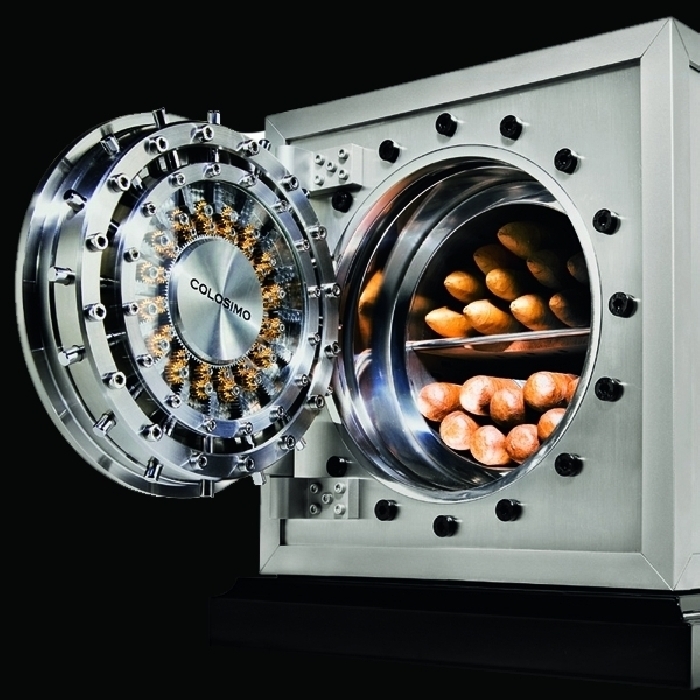 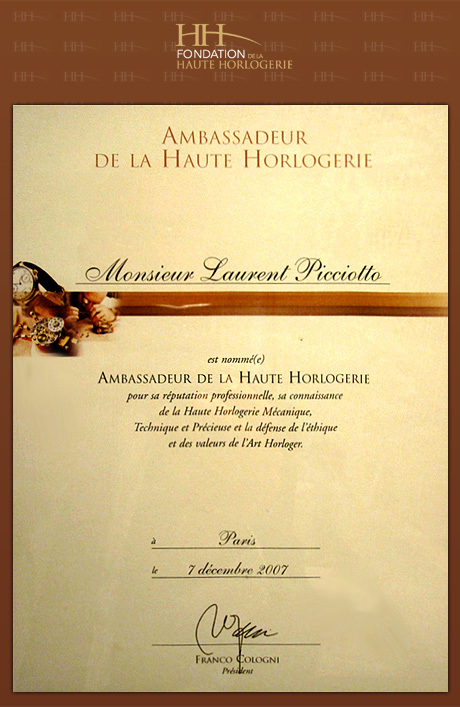 Inspired by vaults found in American banks during the Prohibition, the complex technology of the mechanical locking system, fully visible on the inside door, with its 16 radially attached and specially hardened locking bolts and 32 gilded precision gearwheels, has led to the term "haute safeology" being coined.